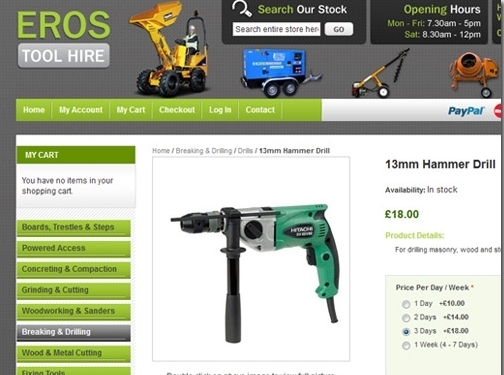 The experienced team at Eros have tools and equipment for hire by DIY and professional builders. Advice is available about the best tool for the job be it a generator or digger. The shop serves Rickmansworth and Amersham areas. UK (High Wycombe) based company - with highstreet store - providing tool and equipment hire services. Website includes e-commerce facilities (catalogue of products for hire), conditions of hire, video introduction, full company contact details.